Okay, so I'm way past my 100th post, but a promise is a promise. This is the long awaited give-away. We order books from time-to-time. Actually, to say we order books about once a week would be more accurate. Anyway, Pastor Dad and I have this joke between us that when one of us sees the UPS truck coming into the neighborhood he or she looks at the other and exclaims, "Did I tell you that I ordered . . .?" We get a good laugh out of it and feel we are doing our part to stimulate the economy by keeping book companies and the local UPS driver in jobs. In our packages we often find books tucked into our order that the company sends just because they like us. Or because they know we're the folks keeping them in business. Or they send them to everyone who makes certain purchases. I don't know WHY they send them to us. They just do. So in the spirit of giving I am willing to pass some of these books on to you. As you can see in the picture, there are three in the give-away. All of them will be sent to one winner. Leave me a comment telling me that you would like the books. The contest will end at midnight Friday, April 3rd. Random drawing will be made at noon on Saturday, April 4th. If you leave a comment anonymously, please either give me enough information that I can tell who you are or send me a message at Karabeth6@gmail.com. I will not ask for your real name or address unless you are the winner. The books look neat and I would love to read them! Neat idea! Glad I got the computer for a few minutes!! Yes, enter me. I would love to read and use the books. Jane G.
I would love to win these books! Thanks! What a cute idea. Those books look like fun! I'd like to give it a try as I am always looking for encouraging literature- and I love seeing the mail truck pull up at our place! 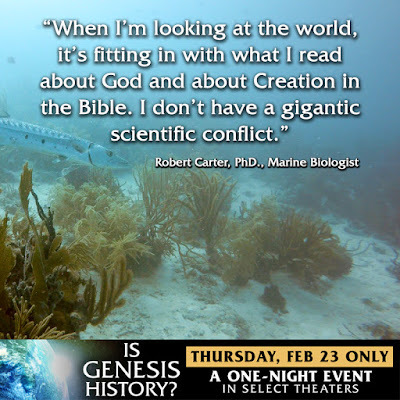 See "Is Genesis History?" in Theaters February 23rd! Since January 2013 I have been keeping a journal of what I find when reading the Old Testament. I am especially looking for teachings about or descriptions of the Messiah. I read scriptures in a chronological order, with the exception of most of the Psalms and Proverbs, and that is the order in which they are presented. When I have completed my notes there will be a description of every OT passage recorded here. Being a teacher at heart I desire to share the great things that the Lord has taught me through His Word. My prayer is that whatever you read here - the Bible journal, the story of my autoimmune system disorder, information concerning our 27 years of homeschooling, or news about our family - will teach you more about the love of Jesus and lead you to love Him more, too. All opinions expressed in this blog are my own, although I hope that anything said here would not be displeasing to my Lord or my employer. Blog Header custom designed by duBarry Design http://dubarrydesign.blogspot.com. Powered by Blogger.